Journalist-in-Charge ABC Central West and ABC Western Plains. Television reporter with Prime News, Wagga Wagga, NSW. I was lucky enough to be offered a job shortly after finishing my degree, and in January 2007, moved to Wagga Wagga in New South Wales to take up a role as a reporter with Prime News. During my time with Prime I was able to also work as a director’s assistant helping to put a live 30 minute bulletin to air, I regularly presented ‘news updates’ which aired throughout the day promoting what was on that night’s news, was a back-up news reader and ended up as the newsroom’s Chief-of-Staff. 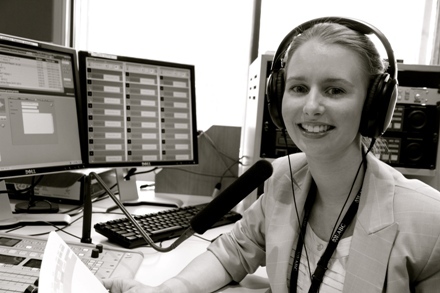 In September 2010 I accepted an offer from the Australian Broadcasting Corporation and moved across to radio, working in the newsroom at ABC Riverina’s Wagga Wagga studios, which broadcast to a large part of south west New South Wales. It was a two person news operation and gave me the opportunity to research, write, produce and present live radio bulletins, do live question and answer sessions with other ABC radio and television stations, be part of live outside broadcasts and emergency broadcasts in floods and bushfires. In February 2013, I moved to Orange in the New South Wales Central West to be the Journalist-in-Charge of the newsrooms at ABC Central West and ABC Western Plains. I’m passionate about bringing news and current affairs to the people of regional Australia, and on reporting the issues, triumphs and tribulations that make people outside of our capital cities tick, to local, state, and national audiences. I’ve written stories on the high suicide rates in regional Australia, the Murray Darling Basin Plan, the transformation of New South Wales’ interior from drought to flood to fire, on special needs schools with Australia first teaching programs, major court cases and inquests, and politics at all levels. Working in the regions is a great way to get your ‘foot in the door’ as a journalist, but it can also provide the basis of a really fulfilling career where you become a big part of the local community and have the chance to live among what you report on.